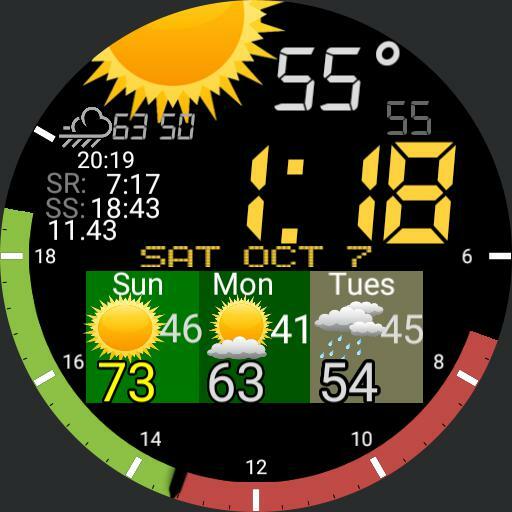 24 Hour Clock Face, Green band shows time sun is up. Red mark is approximate current time. Temp color coded. Time color tracks phone batt, date color tracks watch batt.